Australian bass David Hibbard graduated from the Queensland Conservatorium of Music in 1981. As a young artist, he gained experience singing minor principal roles for three seasons with the State Opera of South Australia, followed by study in New York with Daniel Ferro and in England with Sir Peter Pears in 1985. A contract with the English National Opera saw him as a principal in Die Meistersinger, Julius Caesar and Rossini’s Moses in Egypt and Simon Boccanegra for the Glyndebourne Festival Opera. In 1987, he sang Sparafucile, touring England with Opera 80. He returned to Australia in 1988 to appear with Opera Australia in roles ranging from Fiesco in Boccanegra, Ramphis in Aida, Monterone in Rigoletto and The Speaker in The Magic Flute to Publio in La Clemenza di Tito. In 1990, after receiving the German Operatic Award from Opera Foundation Australia, he commenced a contract with Cologne Stadtsoper, performing roles by composers from Mozart to Peter Maxwell-Davies, as well as Lieder Recitals. In 1992, he was appointed First Bass with the Bremen Stadts Theater where he performed Fiesco in Simon Boccanegra, Padre Guardiano in La Forza del Destino, Sparafucile, Baron Ochs, Prince Gremin, Colline and Alvise Badoero in La Gioconda. Since returning to Australia in 1994, Mr Hibbard has appeared numerous times with all the leading opera companies and concert organsiations. 2004 saw him undertake the role of Fafner in Der Ring des Nibelungen for State Opera of South Australia (recorded and subsequently released by Melba Recordings) and perform Don Alfonso in New Zealand Opera’s tour of Cosi fan Tutte. In recent seasons, he has taken many principal bass roles for Opera Queensland - in The Marriage of Figaro, The Barber of Seville, Madama Butterfly and Romeo et Juliette; for State Opera of South Australia - Rigoletto, Dead Man Walking, Un Ballo in Maschera and The Marriage of Figaro; for Opera Australia - Don Carlo and A Midsummer Night's Dream. He has performed in concert with Victorian Opera, the Queensland Symphony Orchestra, the Queensland Music Festival and sang Verdi’s Requiem with Stanford University Symphony Orchestra in Melbourne and Sydney. 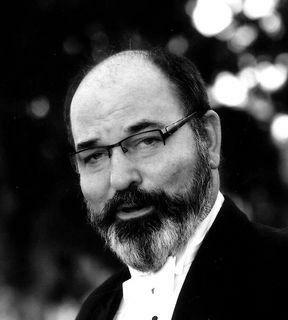 In 2010, David Hibbard appeared with Opera Australia, State Opera of South Australia and Victorian Opera.